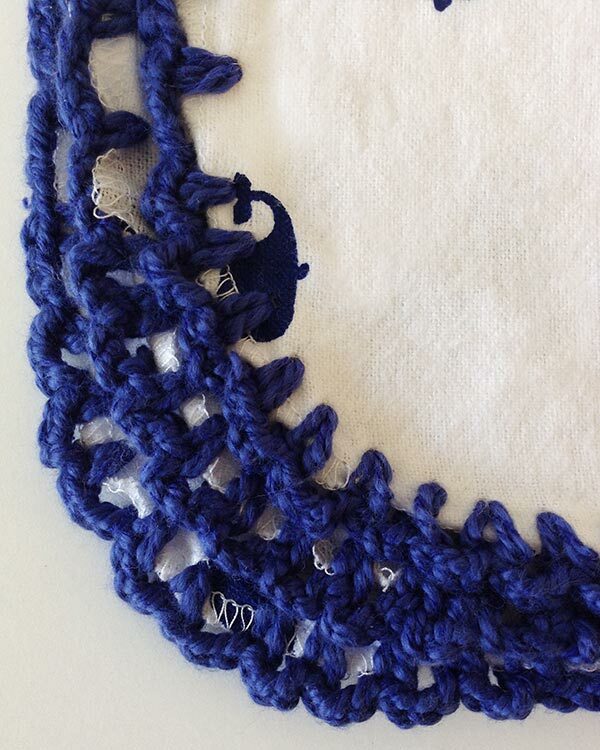 So you’d like to crochet a baby blanket but aren’t quite ready to tackle the full project? 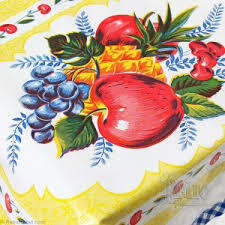 Then this is the project for you! 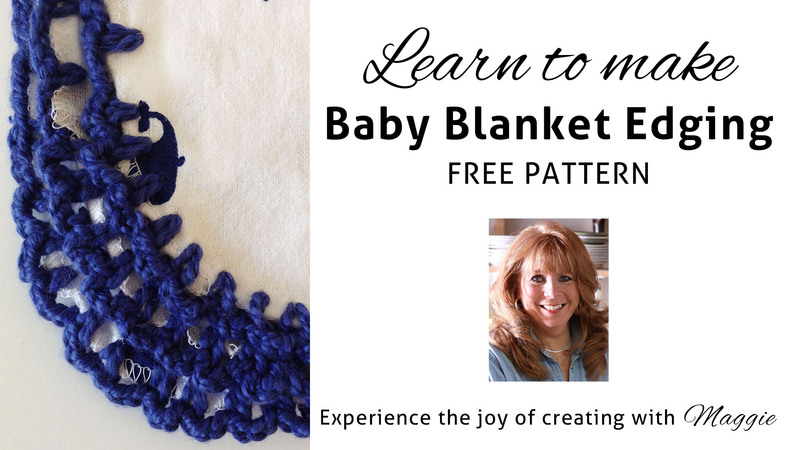 In this video lesson, you will be taking a plain receiving blanket and adding a decorative edging using single crochet and chain stitches. To make sure our stitches are even, we’ve used a great product called Tiger Tape. 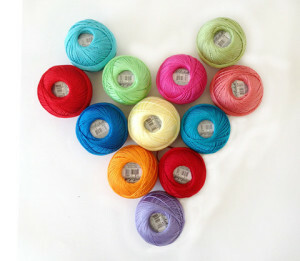 Tiger Tape will help you create straight, even stitches and sew buttonhole and blanket stitches with the correct length and distance, all without marking the blanket fabric. Tiger tape is a white self-adhesive tape with evenly-spaced black lines printed across its width. Run a length of Tiger Tape across your blanket and the edge of the tape acts as a guide for long, straight rows of uniform stitches. Close-up view of crocheted baby blanket edge. Tiger Tape will help you create evenly spaced stitches like you see here. 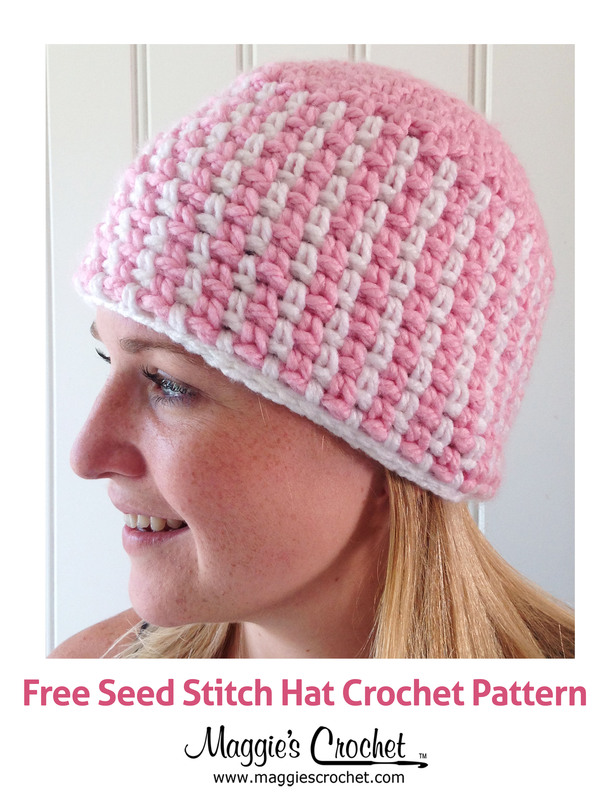 Maggie has a couple of great patterns for creating beautiful edgings. The Receiving Blanket Eyelet Edging Pattern details how to add a simple, creative touch to any plain receiving blanket. 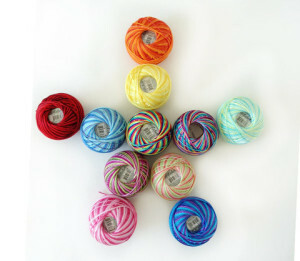 Lizbeth Size 3 crochet thread is perfect for baby blankets. 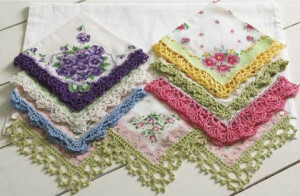 The Lace Edgings Crochet Pattern has several beautiful patterns for adding decorative borders to handkerchiefs, pillowcases and more. Lizbeth Size 10 crochet thread is recommended for these patterns. 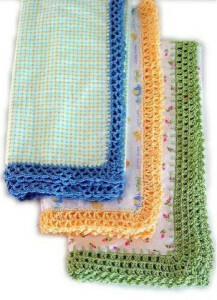 Now that you’ve created a crocheted edge baby blanket, why not try crocheting an entire baby blanket? 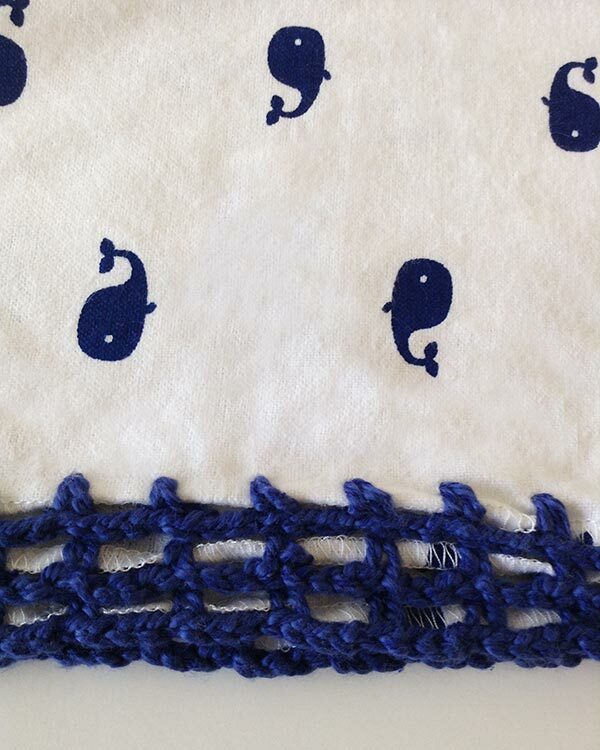 90-Minute Baby Blanket is a super-easy project that you might enjoy.